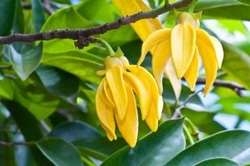 Ylang Ylang essential oil is steam distilled from the flowers of the Ylang Ylang tree. It has a great affect upon the cardiovascular system as well as emotional balance and hormones. Apply directly to area of concern, on the bottoms of the feet, the wrists, Vita Flex points and chakras.